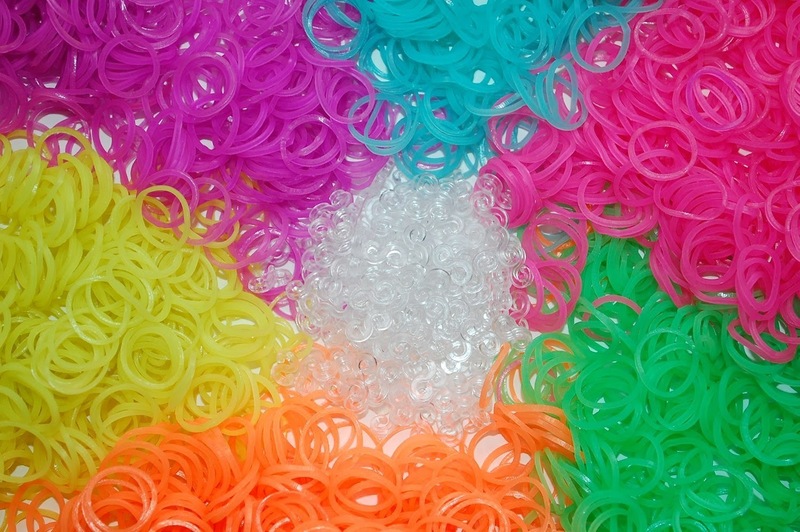 MILLIONS OF LOOM BANDS SOLD - 3600 Neon Glow in the Dark Loom Bands Refill Pack with over 150 Clips - BONUS FREE EBOOK AND MEMBERS ONLY VIDEO LIBRARY WITH OVER 100+ LOOM BAND PROJECTS INCLUDED IN SHIPMENT WHEN YOU PURCHASE FROM AUTHORIZED SELLER! SEPARATELY PACKAGED BY COLOR - 600 Each of Pink, Blue, Green, Purple, Yellow and Orange. Individually wrapped by color! 6 individual bags means no color bleed and makes it super easy for kids to organize. SUPERIOR QUALITY BANDS & SAFE FOR KIDS - 100% Premium Latex-Free Rubber Loom Bands - Super Stretchy, Soft and Durable Rubber Bands Perfect for the Kids! 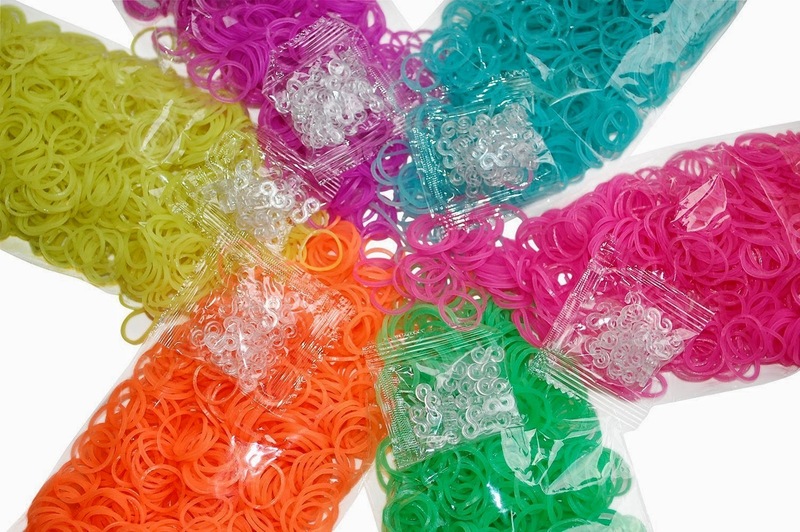 Compatible With All Major Rainbow Loom Brands! ONLY BUY GENUINE PRODUCTS - If you order RubberBandBracelet brand bands from this page and do not order from BCDE Store (the only authorized seller) please check your products carefully! Full RubberBandBracelet customer support and warranty is only provided by RubberBandBracelet if a genuine product is purchased. 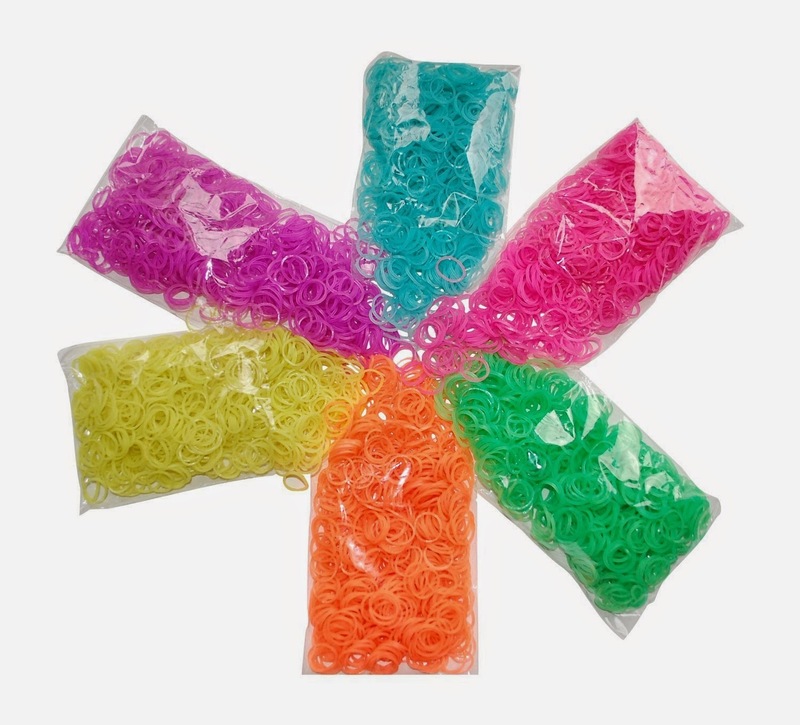 You can identify genuine products by finding the RubberBandBracelet packaging and logo on the product. OUR GUARANTEE - if you aren't happy for any reason you can get a full refund no questions asked or an additional pack sent out to you at no charge (your choice!). Also only valid for genuine RubberBandBracelet brand. I was happy to get to try this 3600 Piece Glow in the Dark Loom Band Set with 6 Colors. Our 6 yr old has been asking for these type of Loom Bands to make her own rubber band jewelery for her and her friends. She loves anything glow in the dark so I thought this was the perfect time to give these a try. I like that they come separated in bags because there are a LOT of rubber bands. 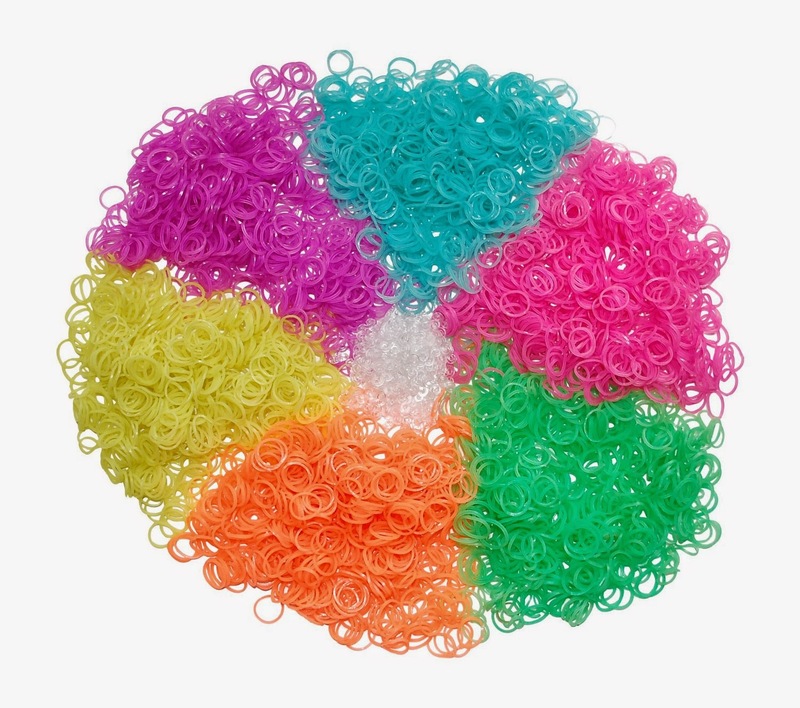 I started by putting each color in its own container for easy use and storage of the unused rubber bands. 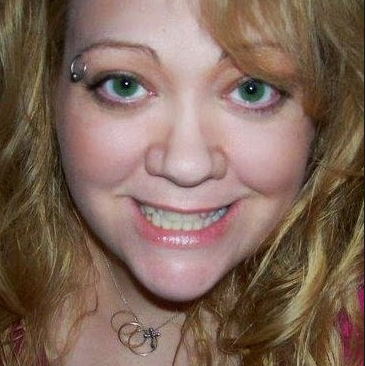 The 6 different colors are all very bright and colorful. 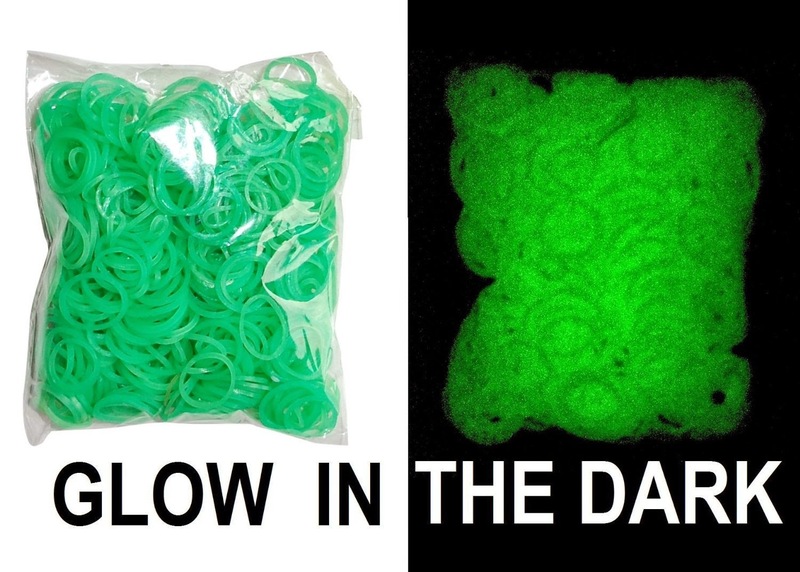 I think anyone who likes to use the Loom Bands will love this glow in the dark set. 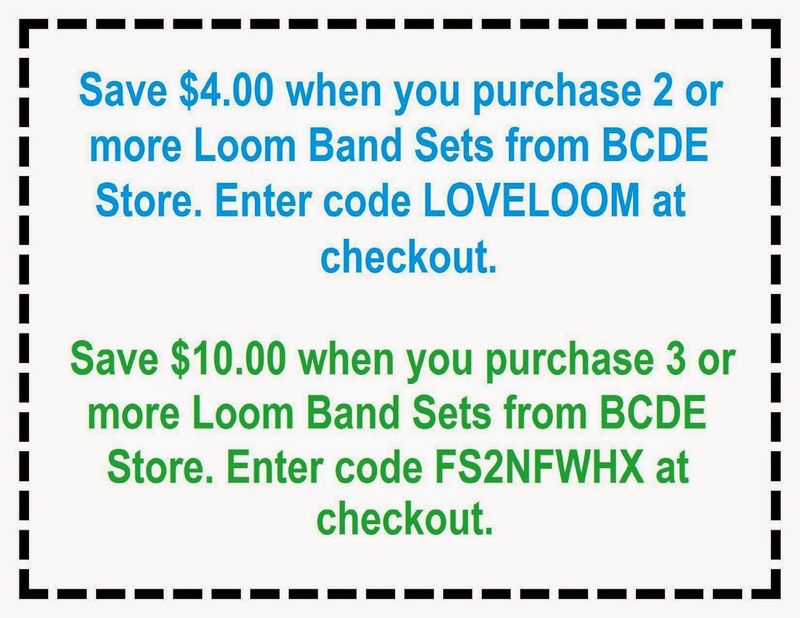 Since it's our first time using the loom I was very happy to get the Bonus Gifts of Free Ebook with over 50 designs of charms and bracelets, and the 100+ Video Library on how to make some of the more popular bracelet and charm designs. It made it a lot more fun since we never did this before. We had a lot of fun and her friends were delighted to get their friendship rubber band bracelets and wanted to get the glow in the dark loom rubber bands for themselves!